This is me in my senior year of college, wearing the shorts that "invited" the incident I found myself in over a year before. It's almost two years to the day that I was violated by someone I'd been instructed to trust. In late September, I was a junior in college, and was in charge of distributing boxes across campus for a school supply drive. On this particular day, Virginia was still very hot, so I wore a pair of cut-off shorts as I shuffled from dorm to dorm to complete my task. I walked into one of the male dorms, waved to the boys I knew, had a chat with the RA on desk, left a box outside of the office door, and prepared to leave when I was stopped by the dorm director. I won't go into details about this man, but his deviant sexual past preceded him, so I was already wary of having any type of conversation. I knew that he would walk into his residents' rooms unannounced, and that he had a bad habit of touching or commenting on the bodies of those young men left in his care. By all accounts, the guy was a creep. Even still, that didn't prepare me for what would happen next. Holding a box almost as big as me as I waited for him to speak, the dorm director walked a circle around me, looking me up and down. Confused, I stared at him as if to say, "Can I help you???" He responded by grabbing a belt loop on the back of my shorts, pulling me close and saying, "Who you got them thighs out for, girl?" Why would he ask me a question like that? I was 19, a month shy of my 20th birthday. I'd had a long afternoon in the sweltering heat. I only liked one boy, and I didn't want him to see me all sweaty like that. So who did I have my thighs out for? Nobody - certainly not a middle-aged dorm director. 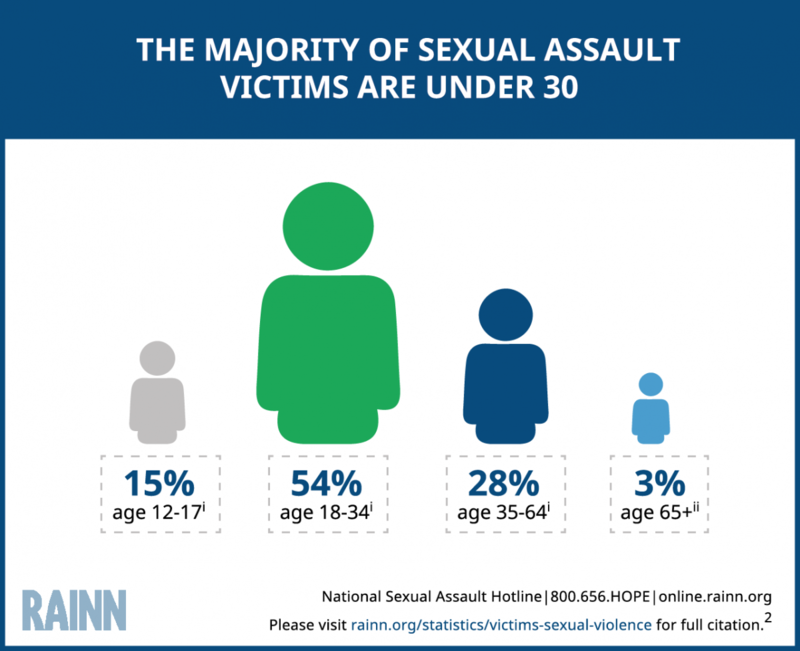 For more statistics on sexual assault, click here. He licked his lips and let me go, laughing, like this was something we did every day. Without waiting to see what he might say next, I hoisted the box up higher and dashed out of the front door. He called out after me, but I wasn't listening to what he said. I've been used to being harassed by older boys and men since before I reached puberty; it's a reality that many girls, especially black ones, face. However, that was the first time a grown man had ACTUALLY touched me in a way that made me feel totally unsafe. What gives someone that type of audacity? It was only when I got older that I thought, these boys and men don't exist outside of family structures - they're our fathers and brothers and cousins and uncles. Sometimes it's not just men - they're our mothers and sisters and aunts, too. Do they do all of their harm outside, or do they take it home? I know what some of you might be thinking: "The dorm director was just playing around, he didn't mean to scare you!" or "But you didn't get raped, so what are you complaining for?" or my favorite, "Every girl has a #MeToo story nowadays." All I can say is, you don't know what it's like until it happens to you. Even if the dorm director was "just playing around", what part of his statement was appropriate to deliver to me? How was he entitled to grab onto me and comment on my body? Even if I wasn't raped, considering the adverse effects it has had on my self esteem and professional relationships with older men, imagine just how bad it could be if I had been raped. Even if every girl has a #MeToo story, doesn't that say more about the fact that our society is totally unsafe and complicit in this type of behavior? Two years ago, almost to the day, I was just a kid trying to do some community service on campus. Following the dorm director incident, I held overwhelming contempt for older men who showed me too much attention, but would go as far as playing into their games to reverse the role of who's in charge. As late as this summer I've begun to re-frame my way of assessing the motives of men around me, and have found lots of them to be very kind. I'm grateful to those men, because only the Lord knows where I'd be if anyone intended me harm. Two years later, and I don't regret not filing a report because I know it would either cause more trouble than it was worth, or fall on deaf ears, and both would've broken my heart. I know my alma mater, and I know their priorities; the violation I suffered simply wouldn't make the cut. (#WhyIDidntReport) My only concern is that just because I got away relatively unscathed at 19, doesn't mean that my luck won't run out later. After all, you've seen who's in office these days.